So you’ve got players preparing for nicotine withdrawal. You’ve got the team opening up SI’s baseball preview issue, which has the Cubs reaching—and losing—the World Series. 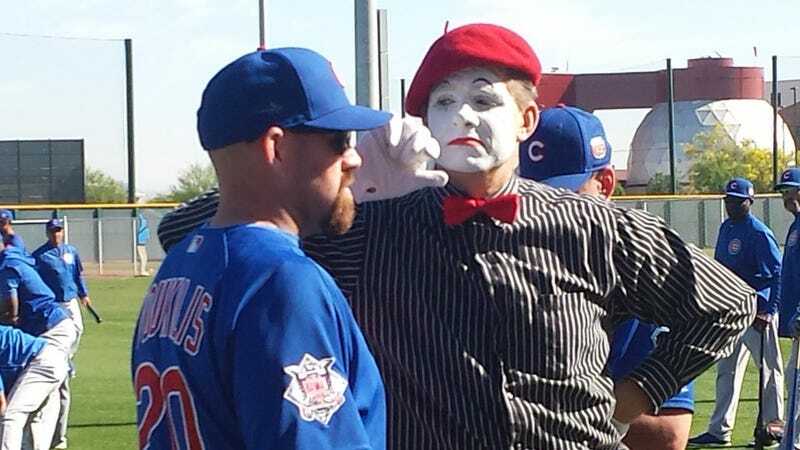 You’ve got Donald Trump threatening to fund attack ads going after the Ricketts family for “the rotten job they’re doing with the Chicago Cubs.” And you’ve got mimes.